Hello fans of Qbking77.com! This is great week in tech from Amazon’s press event to some interesting leaks from Samsung – let’s get started! – Amazon had a press event this past week where they announced a bunch of new devices. The first of which is Amazon’s first ever 10-inch version of the Amazon Fire HD, as well as a new 8-inch version. This new Fire HD comes with a 1280 x 800 HD display, 1.5GHz quad-core processor, 1GB RAM, 8-32GB of ROM with microSD card slot, 5MP rear camera, and Amazon’s Fire OS 5 Bellini. The 8-inch model starts at just $150 while the 10-inch comes in at just $230! And if that’s not cheap enough for you, Amazon also announced the Amazon Fire – a tablet that’s just $50. This device, as would be expected, comes with some mediocre specs: a 7-inch 1024 x 600 display, 1.3GHZ quad-core processor, 8GB ROM, 2MP rear camera and VGA front camera, and Amazon’s Fire OS 5 Bellini. Lastly, Amazon also introduced their 2nd Gen Amazon Fire TV. This version now comes with 4K video support, an updated processor, a microSD slot, full 802.11ac MIMO WiFi, and the Alexa personal assistant from their Echo speaker. – If you haven’t already gotten the update, the old version of Google Wallet has officially become Android Pay and you can grab the app here! You can also now get the New Google Wallet app here as well. Hit up the source for the full explanation, but I’m going to briefly explain what these two new apps are for. Android Pay is now used for in-store, and eventually online transactions, by allowing you to link your credit, debit and loyalty cards to the app and use your phone to pay at any NFC-enabled terminal. On the other hand, the New Google Wallet is now just used to handle person-person money transfer, to manage the physical Google Wallet card if you have one, and to simply review all your transactions through this app. I used Android Pay this weekend once and it took a couple tries before it went through – I don’t know if was my case or what, but hopefully others don’t have as much an issue as I did. – Google just announced this weekend that they will be holding a press event next Tuesday, September 29th in San Francisco. At this event, we can expect to see more details about Android Marshmallow, as well as their new Nexus phones of which we have seen even more leaks and rumors this past week. 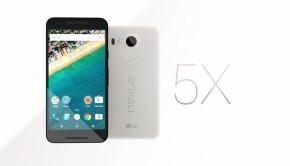 For one, we have learned that Google’s next devices will be called the Nexus 5X (by LG) and the Nexus 6P (by Huawei). Kind of misleading names as the Huawei Nexus is believed to have a 5.7-inch display and the LG one will be 5.2-inch I believe. We also received another leak about the Huawei Nexus device and while it doesn’t reveal much, it does tells us that it will come with a Snapdragon 810 processor and 3GB of RAM – check out the source for the full rumored specs of this device. Lastly, it was rumored that this Huawei device will be the first Nexus device to offer up to 128GB of internal storage. 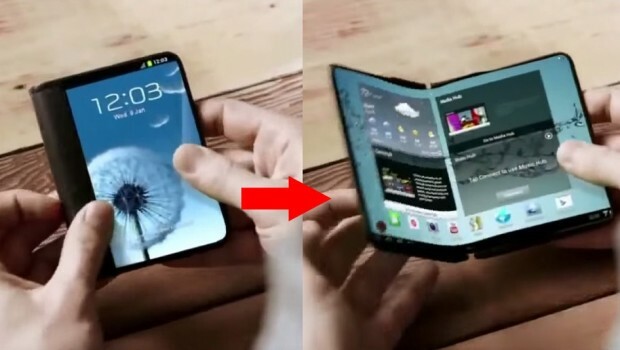 – Remember this concept video Samsung revealed back in 2014 showing off a foldable smartphone? According to a Chinese insider, Samsung could release such a device as early as next year! The rumored device could come in two models with 3GM RAM, a microSD card slot, non-removable battery, and either a Snapdragon 620 or 820. This report also says the this device is not the Galaxy S7 and it could possibly only be released in South Korea initially. According to Xda, Samsung also recently patented a new hinge system for such a device. Whether this is true or not, I am definitely amazed that this technology is advancing and will be here soon! – Carriers have been known to have special sections within Best Buy stores to show off their devices, but it appears Verizon and AT&T will be taking that a step further. With an expected reach of 250 stores by the end of 2015, Verizon and AT&T will be setting up ‘Experience Stores’ within Best Buy stores. This will allow a bigger area with trained employees on the carrier-specific details to help consumers try out devices and discuss data plans. This is definitely a good idea as carriers are getting rid of contracts and changing their plans drastically and thus confusing customers. 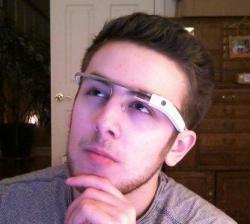 – Wondering where Google Glass went and when it’ll be back? Me too. When Google restructured and put Glass under its own division, appointed Nest co-founder Tony Fadell in charge, and started snatching up software developers we knew Google wasn’t ready to give up on Glass quite yet. Well now the team behind Google Glass will officially be known as Project Aura – not to be confused with Project Ara, Google’s attempt at a modular smartphone. So why the name change? Well, apparently this team will also be working on other wearables as well, but don’t worry Glass will hopefully be back soon. – With more and more devices coming with fingerprint sensors, and many more to come in the coming months, we can only hope that fingerprint support will be coming to apps as well. With Google announcing that Android Marshmallow will come with fingerprint support built in, this will only make app support easier. Luckily for us, Bank of America recently added support for fingerprint scanning on Android – allowing people to set up a fingerprint within the app to login to their bank account. While this is great news, I hope more apps will start to add this support in the near future! – Google updated the Google App to Developer Preview 3 this past week and brought with it a very anticipated feature – Google Now on Tap. Expected to be in Marshmallow, this feature allows you to simply long press on the home button and Google will scan whatever you are currently looking at and give you more relevant information about it. Additionally this update brings with it vertical scrolling in the app drawer as well as some new animations. Check out Tim’s video on it and get excited for Android Marshmallow! – If you haven’t seen the Robin by Nexbit, then you should definitely check out this smartphone. For just $350 right now on Kickstarter, you can get an unlocked device with a 5.2-inch IPS LCD 1080p display, Snapdragon 808, 3GB RAM, 32GB ROM with 100GB in the cloud, 13MP rear-facing camera and 5MP front-facing, a 2680mAh battery, dual front facing speakers and a fingerprint sensor. Now what makes this device interesting is that, as I mentioned, it comes with 100GB in the cloud and that’s because this device learns what you use most and offloads the stuff you don’t use to the cloud – anything from full apps to photos and more. – You can currently snag a Tronsmart 42W 3-port wall charger for just $12 on Amazon! This charger comes with Qualcomm certified Quick Charge 2.0 on one of the ports, 5V/2.4A on the other two and it comes with a microUSB cable. To get this deal just head on over to Amazon and use code ‘JANQXRAX‘ at checkout! – If you are an Amazon Prime member then you have the opportunity to pick up yet another benefit from this great service. Amazon just announced that they are offering a free, 6-month subscription to The Washington Post National Digital Edition – a savings of $10/month. In addition, after the six months Prime members can continue to use to service for just $4/month. – Didn’t see any major software updates this week, but Google’s Chromecast did receive an update. This update is actually through the Google Play Music app as it now supports gapless playback between songs while casting to your Chromecast. While this feature has been on mobile for a while, it’s great to see it here and apparently you can even leave the house or turn your phone off and the music will keep playing on your Chromecast. Check out more about this update on Engadget! – I also saw that Apple released iOS 9 this past week and apparently a lot of people are experiencing their apps crashing as a result of this update. While this update does come with some great features, this is a big bug that Apple should get fixed as soon as possible. Check out more about this update over at CNET!